Look what's happening at Club Kids in September - get your workout in while your kids have a great time! It's Back! Club Kids will be celebrating Back to School week! While your older ones jump on the bus for a day at school, bring your little ones to Club Kids where we will have lots of crafts, activities, books and more all about going back to school! We hope your bus can make a stop and visit us soon! Family & Friendships are being celebrated this week at Club Kids. Bring your kids by for a week filled with crafts, workouts, book and activities all our our family and friends. We'll make paper friendship dolls, family picture frames, talk about what it means to be a good friend and what we all can do to be one. It's sure to be a fun week! Join us at Club Kids as we explore our emotions. We will have books, crafts and activities all about emotions. It will be a happy, silly, goofy fun time! The leaves are starting to turn color and fall to the ground. The weather is turning cooler. Days are getting shorter and school is back in session. Yes, FALL has arrived! 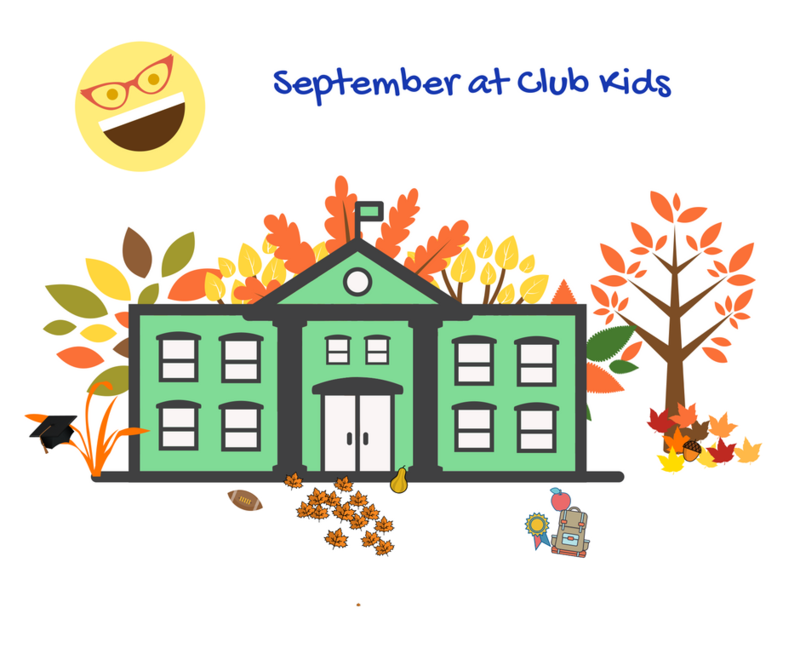 This week at Club Kids we will be making lots of fall crafts, reading books and even playing in leaves to kick off this beautiful season. We hope to see you all this week!